With the support of The James Irvine Foundation’s Arts Innovation Fund, the Japanese American National Museum launched in 2006 a major project that explores how a culturally specific arts organization can respond to changing societal demographics in order to engage and serve younger and more diverse audiences. Witnessing dramatic shifts in its audience demographics over the past 25 years, the National Museum is recalibrating itself to better serve more diverse audiences. The project has impacted all levels of the Museum, bringing about widespread modifications to the institution’s organizational structure, economic logic, strategic planning, and programmatic models. 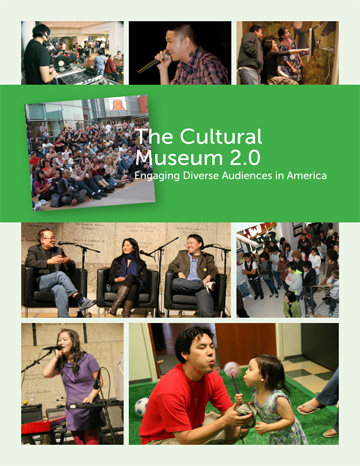 The National Museum has chronicled the activities of this project in a published White Paper, entitled The Cultural Museum 2.0: Engaging Diverse Audiences in America.